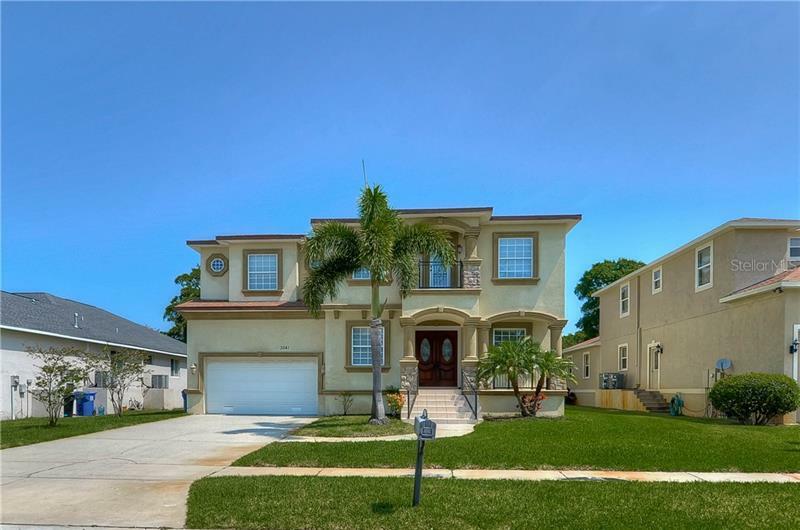 This four bedroom POOL home sits on a huge corner lot and is fully fenced. There is tile and wood flooring throughout the living areas. The kitchen features stainless steel appliances, stone counters and dark wood cabinets. A custom back splash finishes off this updated kitchen. The home is spacious with a family room, separate living area, four bedrooms, two full baths and a half bath. All the bathrooms have been updated. The master bedroom has a walk in closet and laminate floors. The sliding doors from the family room lead you out to your salt chlorinated, heated, pool. Covered and screened with lots of room to relax. Plenty of yard left beyond the pool too. Covington Park has two community pools, tennis courts, fitness center, walking trails, and playgrounds. There is also an Elementary school in the community. Easy commutes to Tampa, Brandon, MacDill AFB, and Sarasota via convenient access to U.S. 41, I-75, and Hwy 301.